Going boating this weekend? 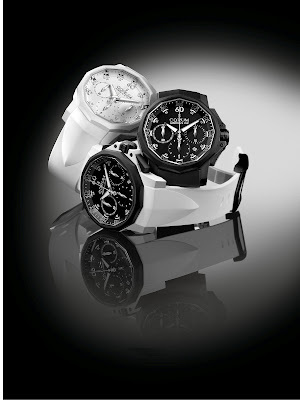 Swiss watchmaker Corum has unveiled the Admiral’s Cup Challenger 44 Chrono Rubber collection. 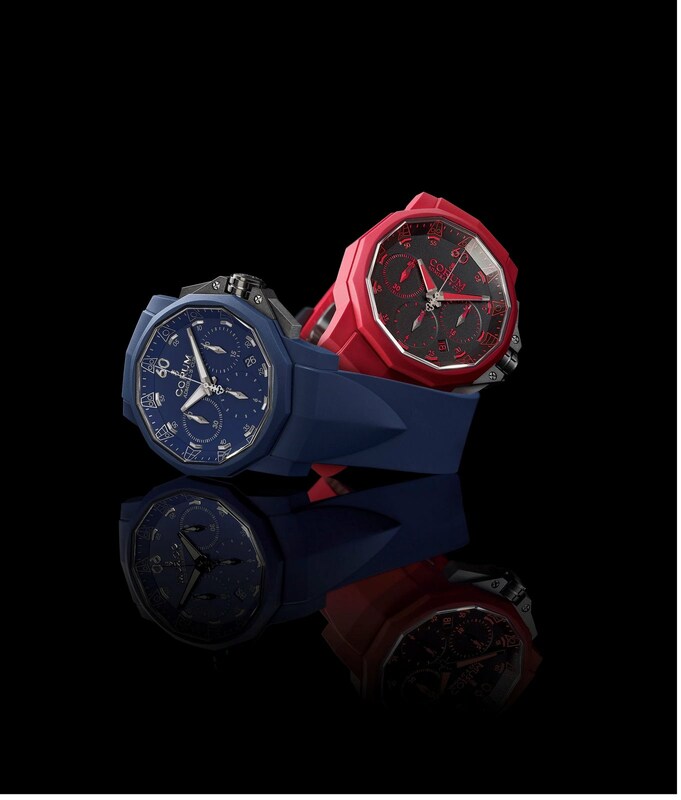 The colourful vulcanised matte rubber cases and straps are in red, blue, black and white. They’re mounted on stainless steel to make them non-slip in sea and eye catching on land. The case maintains the distinctive twelve-sided shape and the inner bezel ring adorned with the inner bezel ring adorned with nautical pennants. The hands, minute numerals, chronographs and chevrons are all highlighted by luminescent white, grey or red allowing excellent night-time readability. The timepieces are powered by the mechanical automatic CO753 movement that is chronometer-certified by the COSC. The watches have three counters and a date window at 4.30 on its display and are water-resistant to 30 metres for the white versions and to 100 metres for the others. The transparent back shows a CORUM engraved oscillating weight. The blue and red versions will be produced in limited editions of 100 pieces each, while the white model will be produced in an edition of 125 pieces. All models are priced at US$8150.